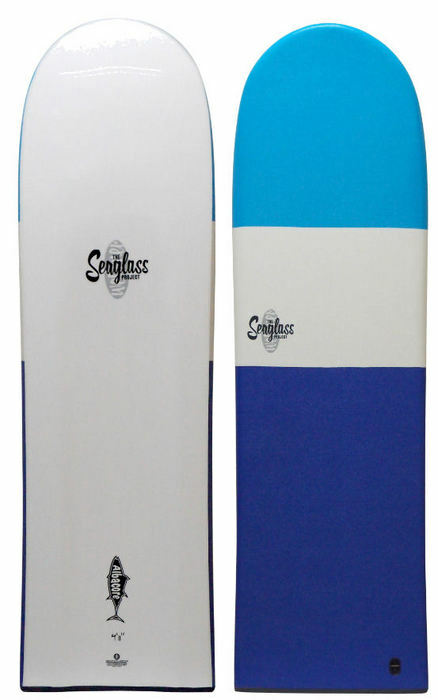 3.5	stars -	"Review for Seaglass Albacore Finless Softboard 4 ft 11 inches" Mark Taylor This Seaglass Albacore Finless Softboard 4 ft 11 inches is the best Seaglass I have tried. The Albacore is the simplest finless board in the world. It makes the thrill of finless surfing fun, easy and user friendly. The feeling the Ancient Hawaiians had as they rode their finless Alaia surfboards is now more attainable to more surfers. The Albacore surfs much like a thin wood alaia because of flex, yet it is soft and paddles very well and easily. The EPS core delivers this flex, and makes for surprising control and manoeuvrability. The board bounces from turn to turn and feels light underfoot. It takes the joy of finless surfing out of the advanced surfer?s world and into the realm of the beginner to intermediate surfer.